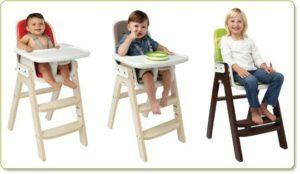 The best highchair ever 2017! asure in the early weaning days before i suddenly had this overwhelming desire to just throw the highchair in the bin after a particularly messy mealtime. which i’ll admit was super handy as i lived in a townhouse and have dogs so was useful to be able to sit him in the raised bouncer whilst i was in the kitchen. 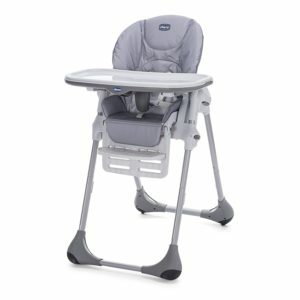 I had intended on just buying the highchair attachment for it but having already spent over £300 on the actual steps and bouncer i was a bit put out to find that the highchair, cushion and tray attachment would cost me another £151. I had purchased the entire stokke furniture kit for my nursery but not been impressed with the service/delivery or quality so after finding out the cost i decided to explore a cheaper option. I started out with a Chicco Polly, which i have to say despite it’s bulky appearance, it was very comfortable for my baby, having the extra padding to support them (this can be removed as your child grows). Some of the things i liked about it were that it also had a very handy removal tray cover which made food prep nice and easy as could sit Artie in the highchair with a toy on the tray whilst i prepared his food, then could just pop the tray with his meal on when i was ready. The seat reclined which was a perk for me as he would sometimes have a short nap in it after lunch while i cleaned up. On the downside, it was incredibly bulky and large, and took up so much space in the kitchen, even when folded. The worst parts for me however were that there was no post in between his legs, which due to a non strapped in breakfast (ALWAYS strap your baby in) meant that he slid out front ways and bumped his head on the floor, resulting in a trip to a&e. Of course had he been strapped in this wouldn’t have mattered but in hind site it’s a feature that would have helped. The other downside was cleaning it. Oh my goodness, the cleaning was the WORST part! So many creases, crevices, holes, gaps to clean, it literally took so long to clean. 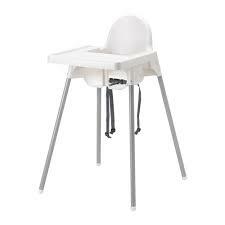 I even read the reviews online telling me it was hard to clean, and did i listen, nope, i just became another one of those mummies, slave to cleaning the highchair forever more! argh! The plasticy fabric just stained every time he ate a tomato based dish, the fabric was difficult to remove so there was forever crumbs and food hidden in gaps under the fabric unless you did a full removal every time. The straps did wash up nice in the washing machine though. It was around £80 to buy, but it wouldn’t be one i would buy again or recommend purely for the cleaning aspect. When i moved house, we had a skip delivered and unfortunately the Chicco Polly might have fallen into it, never to be seen again. Reading online forums, i purchased an Ikea Antilop for a VERY reasonable £13 – you can even buy the seat cushion for £6 too, making the entire set under £20! bargain! I have to say if cleaning is your bugbear then this highchair is amazing! Easy to clean, you can machine wash the cushion cover, and some mum’s have even said they put the highchair tray in the dishwasher! It cleans up very easily and it’s so light so you can always take outside to empty and share the crumbs with the birds if you so choose! My only bugbear with it, is that it does not have an over shoulder harness – only a lap strap. The previous one did and it was a feature i definitely need, as my boy just tries to escape. I still kept this highchair as it is so light, the legs come off easily and i can store in my under stairs cupboard to use when my friends babies come to visit. Finally, i did a bit of research and purchased the OXO Tot Sprout Chair, and oh my, i am in highchair heaven! 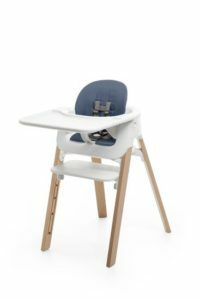 It was much pricier than the other two highchairs (from £164) i had tried but i can hand on heart say it was worth every penny (I am not being paid to review, this is my own opinion based on paying for and owning the chair). The chair is made in such a way that there are no awkward crevices or gaps to clean so it’s very fast to wipe over. I have no idea what the seat pad cushion is made from, but whatever it is it wipes clean with ease whatever baby has had for dinner, even tomato based dishes like Spaghetti Bolognaise! You don’t even need a super harsh cleaner to bring it back looking like new! As well as the seat pad being foamy and comfortable for baby to sit in, it also velcro’s out with one easy pull so you can give a super easy wipe underneath, so no pesky germs lurking under there! The tray has a well to catch any liquid spills and when removing the tray after eating which has definitely become handy since Artie has learnt how to shake his water out of his cups. I am really impressed with the safety aspect of this chair. There is a post between the legs so baby is secure, even when unstrapping etc – it also has a 5 point harness, essential for a baby houdini like mine ;). It is a pricey chair, but the cleaning aspect alone made it worth it for me. 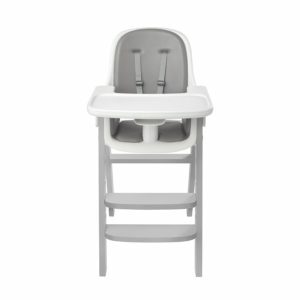 You can use the highchair from 6 to 36 months, followed by adjusting to a youth chair to use between 3 and 5 years. It also comes in a range of really funky colours so it can fit in nicely with your decor at home! 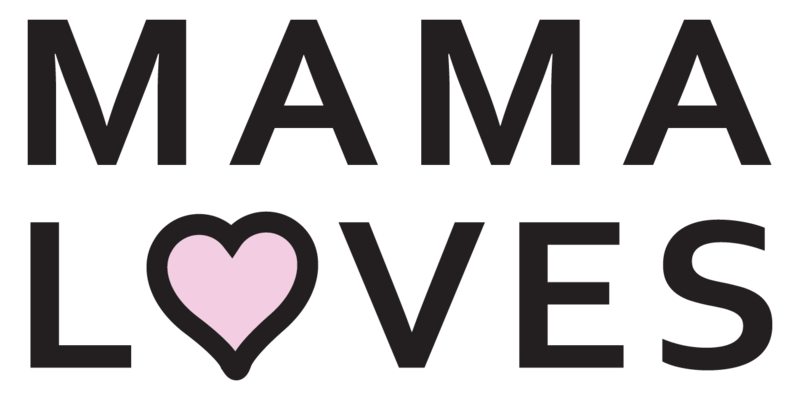 It’s really well made so you could easily keep and use if you plan to have any more children, failing that, you could easily sell on, it’s easy to keep it looking nice! So there you have it, don’t buy 4 highchairs like me! Happy Eating!